Why Is Buying a Term Insurance in Your 20s a Brilliant Idea? By the time you are in your thirties, everyone expects you to have gained the maturity to handle your and your family's life decisions with confidence. The thirties are often seen as a decade of consolidation, where you look at climbing the professional ladder in your chosen specialization or at least been be clear of your career goals. On the personal front, you may have just tied the knot or are planning to do so and have set up at least a couple of short- and long-term goals - vacations abroad or a home. You will also be equally careful about your financial future, thinking about making investments, strengthening your savings, and planning emergency funds. But your twenties are often not seen as the decade for such serious thinking, especially not for thinking about term insurances! Then why am I recommending term insurances for you in your twenties? Let's find out. When we are young there is more energy and a gut feeling to go after what we dream about. It will be a wise choice if we think about providing financial support to our family even in our absence in the future. Securing the family with your term insurance cover will leverage your duties even in your absence. 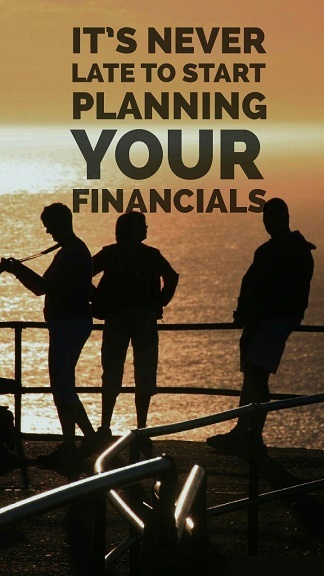 This financial security will be critical to your family as they go through the tough challenges of life in your absence. Term insurance also cover additional family responsibilities in your absence; for example, loan repayments. The premium paid for term insurance will be lower if you start your term insurance the earlier. The premium paid is directly proportionate to your age when you buy a term insurance. So, get a term insurance when you are young enough to be able to easily afford a nominal premium and enjoy the benefits. Term insurance gets quite costly as you reach your 40s and beyond because of the increased chances of health issues that will be accounted for. Hence it is not just important to plan for a term insurance in your 20s but it is equally important to plan the term length carefully, else you will land up with a situation where your term insurance will expire in your 40s and then taking a new term insurance will be quite a costly affair. Buying a term insurance at an early age not less than 30 will have a lot of benefits. The process of getting a term insurance is minimum, there is no health screening if you are under 20 and helps in determining the right coverage plan for you. Hence the chance of your getting a policy is much higher in your 20s than in your late 30s and 40s, and there are no other stringent formalities that you will have to fulfill. People often think about tax saving options like equities, provident fund etc. Some amount of premiums paid on term insurance can be covered under section 80C. Thereby ensuring the double benefit of insurance and tax relief term insurance is a must under 30. Term insurance is almost an unthinkable option in your twenties since this is never a decade where you even think about death. But being practical will always pay off since taking this smart decision can save you money and help you assure financial stability to you and your family even in case of sudden tragedies. So, without wasting much time, make your move immediately towards getting a term insurance to reap all the benefits of being young. Once you lock your term insurance early you can have a healthy mindset and concentrate more on enriching your career prospects. But I understand that there are more questions about term insurance that are troubling you. Connect with me at https://www.prognoadvisor.com// right away for a free first-time financial consultation. You will get personalized guidance on not just term insurance but also about all the nuances of smart personal financial planning.